Las Vegas farmer’s market in Summerlin real estate is every Tuesday. The weekly Summerlin Farmers Market offers homemade products and fresh produce for its seventh year. Local residents can take advantage of the fall harvest season and eat healthy with organic products. Visit and enjoy the beautiful scenery and most popular venue at The Gardens Park. Bring your appetite because you’ll be able to taste food items including organic baked goods at Sasa Sweet Treats, fresh roasted sweet corn at What’s Roastin’, barbecued chicken and ribs at David Brown’s Home Cooking and delicious kettle corn from Sin City Kettle Corn. Other food retailers are Zimmerman Bakery, Baby Brooks Bakery and Dawg Daze. Vendors offer handcrafted jewelry, arts and crafts, beauty products, scrapbooking materials, lotions, sauces, soaps, homemade salsas, herbs, fresh fruits and vegetables. 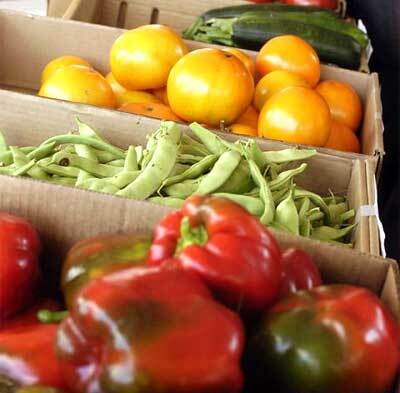 Growers from the Western U.S. and locally bring together more than a dozen vendors for the weekly Farmers Market in Las Vegas, Nevada by The Summerlin Council. This is the nonprofit division of the Summerlin Community Association who’s mission is to enrich resident’s cultural, educational, recreational and social lives. Admission is free and from 4 to 8 p.m. every Tuesday. The market is held at The Gardens Park, 10401 Gardens Park Drive near Desert Inn Road and Town Center Drive. Call 702-562-CORN for more information. Las Vegas Farmers Market in Summerlin real estate is every Tuesday from 4 to 8 pm.